You’re fired! Two words you would prefer not to hear during your professional career. In full time coaching, it is sometimes inevitable. Some have even said you aren’t a “real” coach until you have been fired. I beg to differ on that statement, as I don’t think anyone really wants to get fired. They are not giving out merit badges for losing your job. Having been on both ends of the table, I can tell you as hard as it is to lose your job, it may be harder telling someone else they have lost theirs. 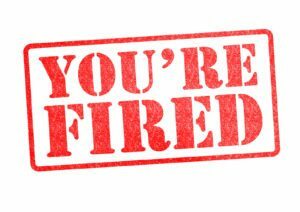 Rarely does anyone just straight tell you “you’re fired” anymore. In this politically correct world, you will get the “we are moving in another direction” or “your contract will not be renewed”. Usually followed by, thanks for a job well done! 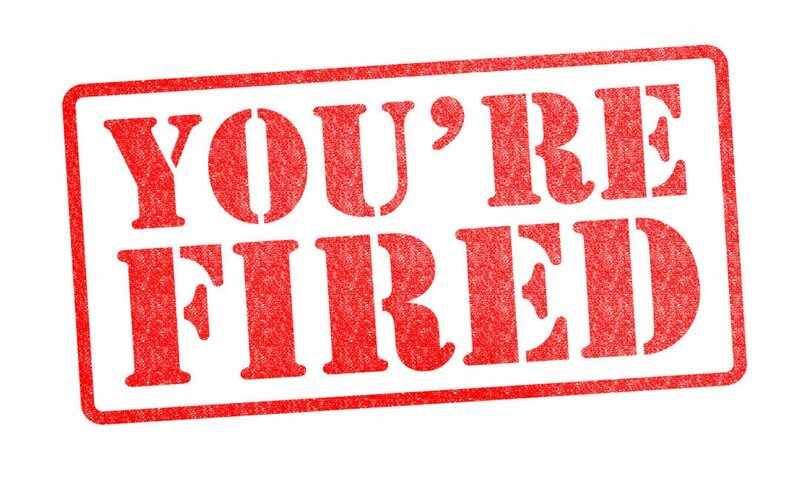 Since the majority of my 28 years as a strength and conditioning professional has come at the major college and professional levels, I have seen many good people lose their jobs. In some cases, coaches may get an interview with the new head coach. I have also heard “we will not be retaining your services”. The day and age of strength and conditioning coaches hiding behind the support staff moniker, student service department, or athletic department administrator are over in high level settings. Most of us are now tied to a head coach and if you know this going in, you accept the good and the bad. The evolution of sport specific strength coaches will continue to increase as Head Coach’s salaries continue to rise. Head coaches are gaining more power in the entire decision making process and everything that encompasses their programs success. Let’s face it, you want to be a big timer, then you must accept all that comes with it. In “big time” college and professional sports, you better be associated with a winning program if you want to keep your job. That’s right, you want the bowl bonuses, NCAA championship bonuses, and everything else that you are entitled to when the team is winning, then you better be prepared to pack your office when the team doesn’t succeed. Oh, guess what? No one cares how great the improvements in the strength and conditioning program are if you do not win on the field or court. So don’t tell me how much faster the team is or how much their leg strength improved. If your team loses too many years in a row, you’ll be out because the new coach has his own guy. I hope I have make myself very clear to those of you who are driven to be a major college or professional strength coach. That is, coaching is not all rah, rah, run out of the tunnel to a cheering crowd. You could do everything right and still lose your job. This is a very strong reality, regardless of your skill set. Yes, you could very well be retained. When I worked at the collegiate level, I was retained seven out of eight times there was a head coaching change. Most of scenarios where I was retained were in the 90’s before the explosion of strength coaches became a true extension of the sports staff. If you are coaching at the Division II or III level, you may consider positions where you have a teaching option. You possibly could earn tenure. So if you lose your coaching position, you still have your teaching spot to fall back on. So where does this leave you? How do you survive a layoff? I survived because of the following three points which are crucial in a successful survival. It starts with family. It is extremely important early on in this career choice that your loved ones understand you are not entering the typical 9-5 job. You will move, settle in, move, settle in, and move again, and again, and possibly again. If you are married or have a serious long term relationship your significant other will need to understand what is at stake and what the consequences are if the team you are associated with is not successful? Your number one ability to survive the layoff is an understanding, supportive, and positive family. It stems from support you give them before the layoff happens and the support they give you after. You will have that moment of “did that just happen”, but to survive it you have to be prepared for it and your family does also. That means investing time in your family before any layoff occurs. I survived the initial shock because my wife has given me unwavering support through this journey. There was never a time where I saw a look of concern on her face. She always knew the best was yet to come. This allowed me to stay the course and be true to who I am and what I believe in. As much as you have to prepare your family for the possibility of losing your job, you also have to be preparing yourself for that possibility. It’s not hard to figure out that if things don’t look right or don’t feel right they probably aren’t. 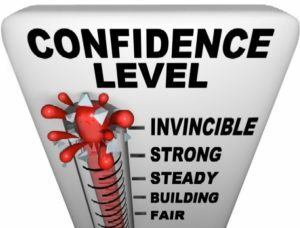 There is no question in my mind and heart that you will survive any layoff if you remain confident. My definition of confidence is “with faith”. Depending on you personally, this can be religious, spiritual, and/or a belief in your professional abilities. Always fight for a bright horizon. Take an accurate assessment of the season, perhaps reach out to a peer, noting what improvements can be made and move confidently in to the future. Confidence is the key. If you have continually mastered your craft your confidence should be extremely high. If not, how do you expect to succeed in any life issue especially losing your job? 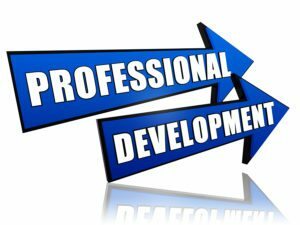 I never doubted that my skills were superior because I always continued my professional development and I knew I could confidently walk through any open door. I also am a firm believer that everything happens for a reason. I believe that at that time in my career, I was supposed to get fired. Why you ask? 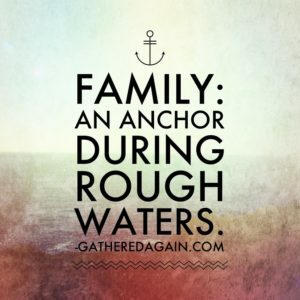 Because my family and I proved we could survive and continue to flourish! Living in a depressed state of emotional being will not take you far. You have to stay strong! You have to keep fighting the good fight. You have to remain positive and sharp. You never know who you are going to meet. They may give you your next great opportunity. You have lost you job. Now what? You need to take action! You have to decide what direction you are going to move into and go all in to achieve success. 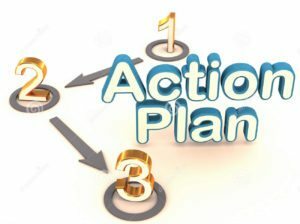 Develop an action plan. A better term may be “ATTACK” plan. By going into attack mode, you are not going to dwell on past occurrences, you are going to be driven to success in your future endeavors. Your action/attack plan can consist of almost anything that is relative to what you want next in your personal and profession life. 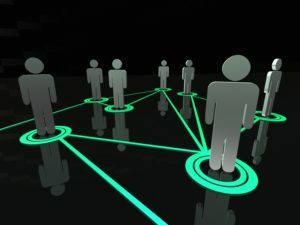 If you are fortunate, and you had a solid contract, you may have more time in developing your action plan than others. I hope this is the case. We decided that we would control our own destinies and futures by creating a program that would supersede any other similar model. Instead of buying or leasing a building, we sublet space in a training facility of a former college teammate and started right away. This plan allowed us to survive financially and keep me in the profession. It also allowed me to be ready for any opportunities that came our way. As fate would have it, just as the business was ready to explode, we were approached with the opportunity of a lifetime, a chance to coach professional ball. Without FAMILY, CONFIDENCE, or an ACTION/ATTACK plan, I would not be in the position I am today, a NFL Strength and Conditioning Coach. My family never wavered. My confidence never surrendered. And because of my action/attack plan I made myself a better coach. My improved coaching skills made me a better candidate when the search committee evaluated me, netting me my dream job. Five years later, I stood on the sideline as a NFL strength and conditioning coach of a Super Bowl team. No one wants to be laid off. We love what we do and want to continue to work. We don’t count hours in this professional because we have a true enjoyment watching others succeed and knowing we may have had a small part in that success. I have spoken about what I believe will help you survive a layoff. Now, I will add in some things that can help before that day occurs. Which I hope never does. First, it is imperative that you and your legal team understand and negotiate the terms of your contract. I hope you are on a contract. 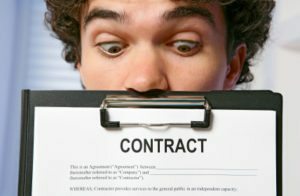 Contracts can be very deceiving, I promise you. A single word can be the difference between you receiving what you believed you were owed and getting nothing at all. TRUST ME, I KNOW. Secondly, you must maintain your network. You have to keep in contact with all the coaches you have created a positive relationship with. Early in my career, I corresponded with various coaches at the start of their seasons. It doesn’t have to be long note, just a friendly reminder to keep you in their thoughts. Even in this time of email and texting, I still recommend a hand written note. I routinely wrote up to 50 notes a season. I also encourage you to attend the major conferences in which you may have an opportunity to shake their hands, engage eye contact and have a brief conversation with them. For many years as an NSCA member, I attended the January Coaches Conference and always stayed additional nights so I could attend the AFCA Conference and visit with coaches. Third, stay on top of your trade. I hate to tell you but, just because you have a good job, a certification or two, a master’s or PHD, doesn’t mean you know everything. Our profession is changing exponentially. Find that one thing that will separate you from the pack. Identify something within our profession you have a strong desire to learn and go all in. You will need a niche. Everyone knows lifting weights. What is going to set you apart? In this era of strength and conditioning there are several areas that are now leading to full time positions; nutritionists, data analytics, GPS, readiness applications, and psychology to name a few. Don’t sell yourself short. Give yourself every opportunity to succeed in this profession. I only know one way to give you this type of information, and that is from the heart. Absolutely, my goal in the beginning of this article was not to sugar coat this topic. You can’t be afraid of being fired if you want to be a member of big time athletics. You have to be prepared for the possibility every single day. If needed, use this as your motivation to give your best every day. If you are able to do this, you will survive anything in life. WORDS WIN!